Can you imagine running your sales floor without having the proper tools? Of course not! That’s exactly what Call Logix is here for. We provide marketers with a set of powerful, proprietary and integrated tools to help them reach their business goals while still improving customer satisfaction and most importantly boosting their ROI.. Call reports, recordings, forwarders, and distribution all form part of the tools given to a business when they chose Call Logix. The growth of your business depends on a call intake center responsive to your customers’ needs and inquiries. Proper intake is crucial. With Logix Track’s Round Trip Data, you can easily determine what has transpired from the time that a sales lead comes in (to the center) to when the back-end process has been completed. More than ever before, you can now monitor the results of your promotional campaigns. You will know with certainty which call-in offers are a hit! …And which ones are a miss. The Analytics feature of Logix Track also gives businesses the ability to monitor sales closing rates and the average dollar-value of orders per intake center. You will know which centers and phone representatives are the best closers. Advanced Search, another valued feature of Logix Track, allows you to sort vital information by Date, Time, Area Code, State, Intake Center, etc. The convenience of Search puts aggregated data right in your hands! LogixTrack monitors and records calls so you can listen to them live or after-the-fact. To get really focused campaign results, just go through the calls received in your intake center. Call Recording puts all the data that you need right at your fingertips. …Without having to pay for the pricier services from groups conducting targeted market studies on prospects and buyers. With the Caller Demographics feature of LogixTrack, you can build stronger advertising campaigns based on the demographic data it aggregates. Some of the information by which you can sort includes Buyers’ Income Bracket, Location, Marital Status, Size of Family, Gender, and more. Ready access to such historic data allows you to create a more targeted ad campaign specific to your audience..
Do you know the ROI of your various advertisement campaigns? Managed Logix’s, advanced Call Tacking helps you to do just that and more! You can track your costs per call or caller, potential revenue per call or caller and cost per acquisition to provide accurate and useful information on the returns you are making from each marketing avenue. The call tracking report allows you to see ROI information quickly for each campaign you have activated including distribution, media cost, cost per call, booking percentages, etc. This report and all other reports are easily exported to a Microsoft Excel for ease of printing, sharing and further analysis. Do you know how your employees interact with customers or prospects? Managed Logix’s Call Performance Review is a service where recorded calls are reviewed and graded on industry standards…. Managed Logix brings success to companies in many industries, which means when you utilize our services, you get a distinct advantage over your competition. You've perfected your campaign creative, offer, and media. Now how would you like to increase your results and have a front row seat into the minds of your buyers and prospects? - Studies have shown an increase inbound response by 25% to a whopping 69%! - Leverage the capability of multiple call centers to increase close rates and average order value. - Glean demographic and consumer insight that will help you target your messaging and media more effectively. - Enabling you to leverage the power of a national advertising campaign. - Leads generated can then be dispersed to the appropriate locations using Managed Logix's intelligent call routing platform. - And more leads will come your way when you leverage RapidRecall, our bank of memorable toll-free numbers proven to increase inbound leads by 25%– 69%. - Increase their inbound call volume with easy-to-recall toll-free numbers. - Ensure their inbound leads are handled with both speed and efficiency using skill-based call routing. - Use Managed Logix's proprietary call tracking software to create a continuous feedback loop that enables them to perfect their campaigns. - Pumping up the volume of their inbound leads by using toll-free numbers that are easy for prospects to recall. - Use Managed Logix's intelligent call routing platform to send leads to the most relevant geo-targeted franchisee. - Record and monitor calls to make sure that prospect's questions are answered accurately and efficiently. - Provide relevant and memorable toll-free numbers such as 800-06-LEGAL that studies show can deliver 25%–69% more inbound leads. - Route specialized leads such as tort claims to firms that are licensed to handle cases based upon specific geographical regions. - Provide intelligent voice recognition to help screen qualified leads. - Provide complex routing services that enable calls to be routed with precision down to the individual desk level, if necessary. - Boost inbound call volume by leveraging memorable toll-free numbers such as 1-800-555-CASH that are proven to increase leads by double digits. - Listen to calls to ensure that all regulatory protocols are being followed. But wouldn’t it be nice if you could get more? The only way to ensure you are receiving a worthwhile amount of new leads to meet sales goals for your business is to have proper tracking of your advertisements and ROI. 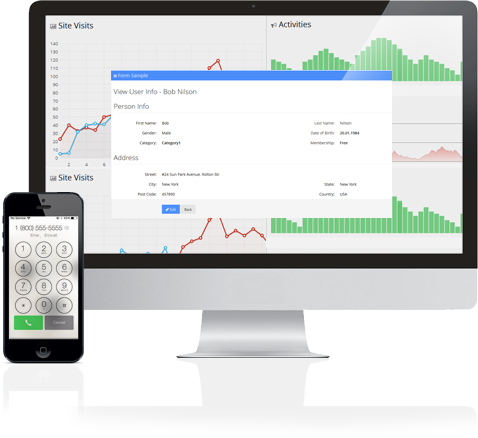 Managed Logix’s, advanced Call Tacking now enables you to track your cost per call or caller, potential revenue per call or caller and cost per acquisition to provide accurate and useful information on the returns you are making from each marketing avenue. This report allows you to see ROI information for each campaign you have activated including distribution, media cost, cost per call, booking percentages, etc. This report and all other reports are easily exported to an Excel spreadsheet for printing, sharing and further analysis. Want more automation? Using our Fully Integrated Solution you can automate the entire process of reporting. Our CRM can communicate with your Call Tracking campaigns to calculate your Cost Per Acquistion for each Agent, Team or even the entire company using triggers setup ahead of time. 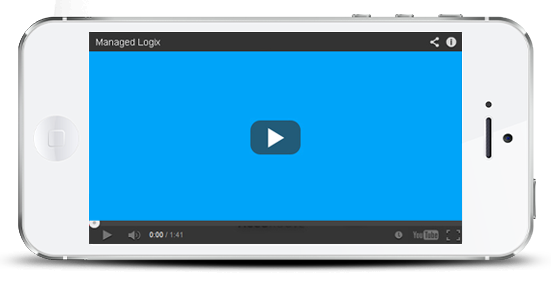 Call us today and learn more about this exclusive feature only offered by Managed Logix. Depending on your needs, we can, analyze your employees’ sales skills so you can stop losing sales due to poor call handling or make sure your Quality Control needs are being met to avoid legal issues! Managed Logix’s Call Performance Review is a service where recorded calls are scrutinized and evaluated based on industry standards and/or criteria defined by the subscriber. Through comprehensive sales performance evaluations, targeted training courses are recommended to improve sales and customer care performance. An industry-leading solution that provides unmatched insight into how your employees interact with customers or prospects. Our call tracking software allows you to instantly qualify your leads to make sure they are in your target market. Managed Logix’s call tracking features provide detailed demographics on each of your calls. The call tracking demographics include age, gender, income, and marital status. This is great data to ensure your marketing dollars are being spent in the right places! You can also run reports by number of calls received by state. Our system can identify what state or even country the caller is calling from, allowing you to generate reports or export the date via excel. This feature allows you to route your calls according to your company’s needs. You can route calls from a campaign to multiple locations based on priority, round robin or based on a weight/percentage, enabling you to direct the calls to the best team, department or person within your business. The call whisper feature allows you to type in a short phrase that can be read out to the call handler before and/or after a call. This allows the call handler to be told more information about the caller so they can handle each call more effectively. The phrase could include anything from how the caller found your website, to the keyword they typed in. In fact you can type in any text and get any data variable in the system to be read out depending on your requirements. With Managed Logix you are able to activate a call recording feature to hear what your customers are saying and how the calls are handled by your staff. The recordings are available for 180 days via your Call Tracking dashboard and can be very effective when used for internal training and monitoring purpose. If you enable this feature we will also automatically play a call recording notification message to comply with legal requirements, so you are automatically covered. Best part, we do not charge any extra fees for this service unlike our competitors. If you are unable to answer a call for whatever reason this feature will send you an email as soon as you miss the call. This allows you to call back potential customers so you can recover lost leads and close more deals. The email will include information about the caller’s telephone number, how they found your website, which keywords they used, and other relevant information about the call. Work The Lead takes your business to a whole new level. Complete with multiple options and customized solutions, we ensure you that leads are captured and routed in the most profitable direction for you. Our multiple-location lead management system allows for immediate responses among various touch points, with 24/7 on demand availability and secure reporting created and managed in the cloud. Switching to Managed Logix was one of the smartest decisions our organization made. We love everything about it!